Tecno i7 is a new midrange smartphone that can be said to offer decent features for the price. Tecno i7 is part of the i-series targeted at the Indian market. You may think of it as the larger, more powerful brother of the Tecno i3, with a huge Full HD display and an octa-core processor. With its metal body, the Tecno i7 looks sleek and elegant. The appearance can make you think of it as a poor man’s iPhone. It is somewhat svelte at the same time. The thickness is about 7.7 millimetres. While the i3 gives you a 5-inch HD display, the Tecno i7 ups things to 5.5 inches with Full HD resolution of 1080 x 1920 pixels. It promises sharper images and better colours. Viewing quality should be awesome since this is an IPS panel. The Tecno i7 packs more powerful cameras. There is a 16 megapixel front facing shooter that promises great selfies in all conditions. It features both LED and screen flash. The 13 megapixel rear camera is equally impressive. It has quad-LED flash, just like Tecno i3 Pro, and boasts phase detection autofocus. Tecno i7 shows potentials of being able to produce photos you’d like to keep. You can expect somewhat impressive performance from the Tecno i7. This is because it comes with an octa-core MT6750Tproces. The speed of the 64-bit, Cortex-A53 CPU is capped at 1.5 GHz. Responsiveness should be satisfying with 4GB RAM in the mix. Onboard storage is ample at 32 GB. A microSD card slot lets you increase this further. As for OS, the Tecno i7 boots Android 7.0 Nougat. On top of the Google software is Tecno’s HiOS skin. The 4,000mAh battery on offer is one of the impressive things about the Tecno i7. This should get things running for hours on a single charge. For good measure, fast charge technology lets you top up the juicer quicker. The phone integrates a fingerprint scanner into its Home button. This is said to have ‘anti-oil’ quality. You get to enjoy great mobile data download speeds with 4G LTE among the connectivity options. The Tecno i7 is targeted at the Indian market and is expected at a price of 14,990 INR. 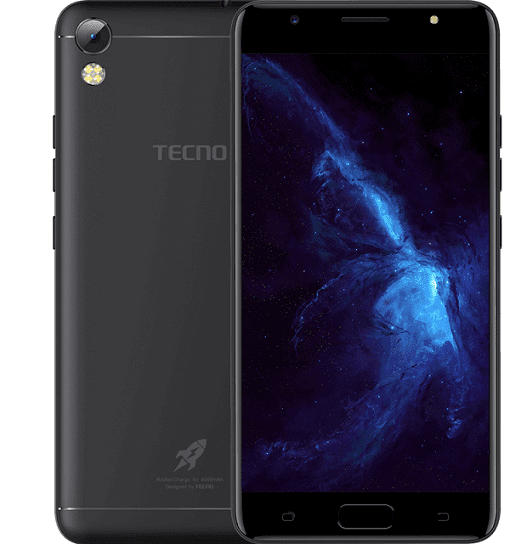 Tecno i7 is not yet available in Nigeria, Ghana, and Kenya. When available, you can buy the affordable smartphone at leading online stores in Nigeria and Kenya. Tecno i7 Price in Nigeria ranges from 75,000 Naira to 120,000 Naira depending on your location in the country. Price in Kenya starts at around KSh 16,499.